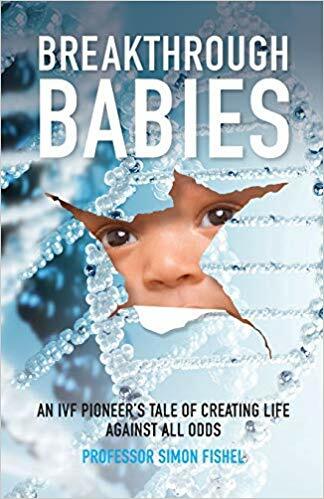 An account from the frontline of fertility treatment, giving a unique insight into not only the medical and scientific advances involved but the human cost and rewards behind this life-changing technology. Simon Fishel worked with Robert Edwards during his pioneering early IVF research and was part of the team in the world’s first IVF clinic, with all the trials and tribulations that involved at the time, including a writ for murder! As the science developed over the decades so did his career, as he sought to do more for patients and taught the new technologies to doctors all over the world. He came up against regulatory and establishment barriers, including fighting a 3-year legal case in the High Court of Justice and a death threat from a doctor if he refused to work with him. The clinic he founded has grown into the largest IVF group in the UK, developing exciting new procedures, and he has helped establish clinics throughout the world, even being invited to introduce IVF to China. Copyright text 2019 by Ginny Carter.